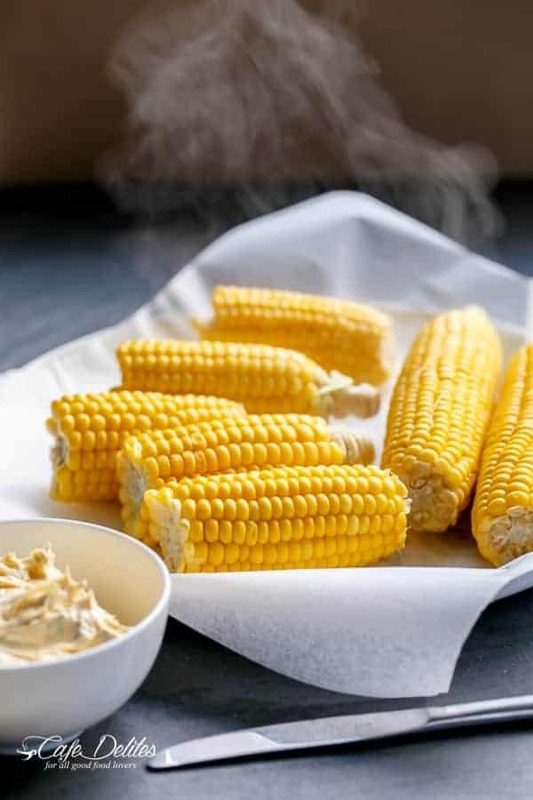 Why have I called this The Best Corn On The Cob? Because it’s juicy. It’s super sweet. Corn kernels bursting in your mouth with every bite. 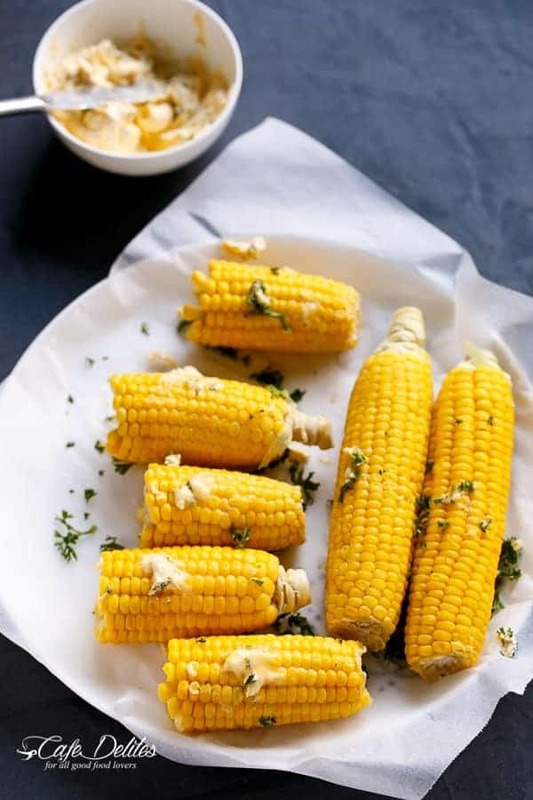 And mixing up a bowl garlic butter only to slather it on your corn and watch it melt all over those kernels is heaven and comfort food at it’s best. So, what’s the secret to the sweetest and juiciest corn you’ll ever have in your life? Milk. Boiling corn in milk has been our favourite way of eating corn for years. I’ve grilled. I’ve barbecued. I’ve boiled in plain water. 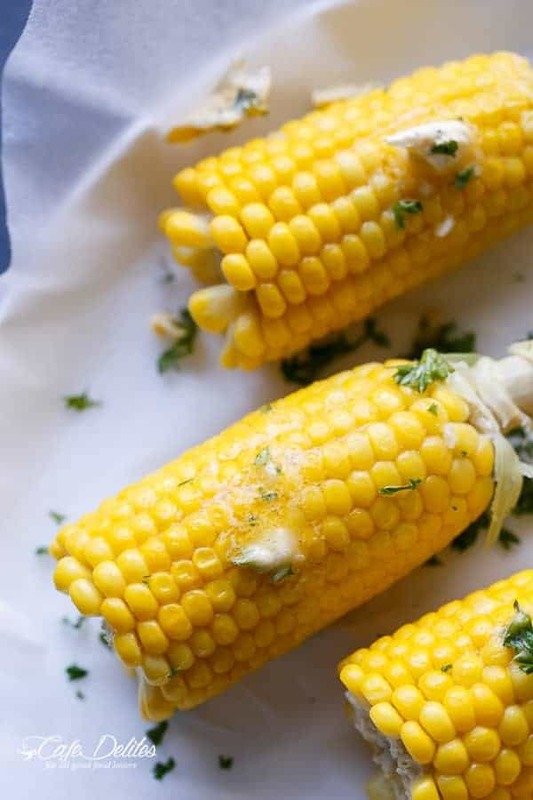 Nothing beats bursting sweet and juicy corn on the cob like this recipe. No sugar. No extra butter. No cream. Just a combination of milk and water. This will change your life. The milk gives it the burst of juicy sweetness, and the right amount of salt gives it the crunch of kernels with every bite. You won’t settle for anything less….ever.again. The perfect side dish in minutes. Or the perfect meal. Who cares? Corn for dinner is a good thing. 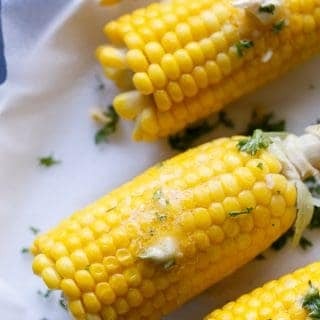 The sweetest, juiciest and best way to make corn on the cob in minutes! Combine the corn, milk, water and salt together in a large saucepan/pot and bring to the boil. When the milk begins to rise, reduce heat down to low and remove from the pot from the heat if necessary to allow the milk to fall if rising to rapidly. Return to low heat and gently simmer until the corn kernels are just tender (about 5-8 minutes) -- (I always remove one out of the water with tongs to test with a fork. You can 'feel' the burst when piercing the fork through). Leave them in longer until they 'burst' with a fork. 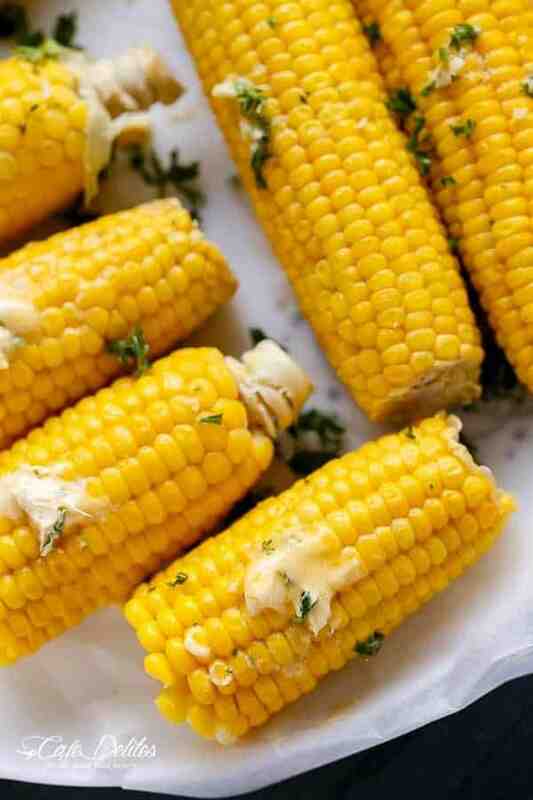 Remove each cob with tongs and serve with butter...or serve plain! 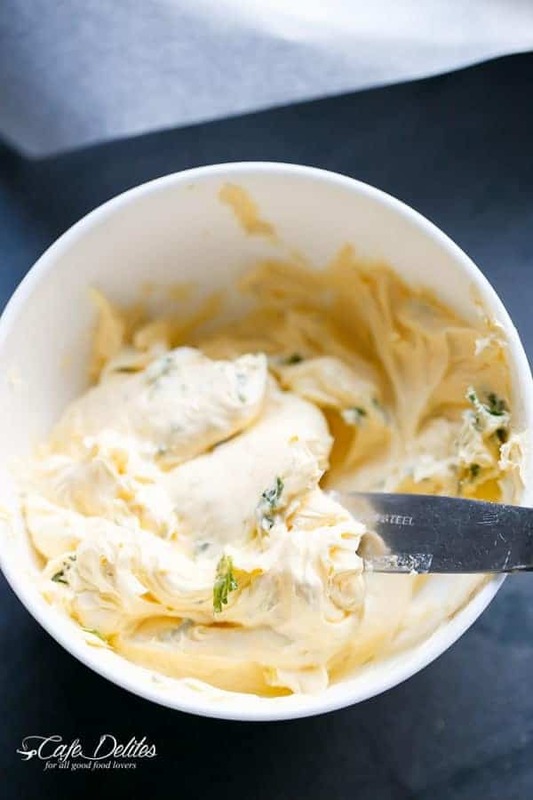 You can use any left over Garlic Butter to make garlic bread! Sounds like a winner. I’m going to try this one tonight.